Volume 11 of the popular Pokemon Time series went on sale at all Pokemon Centers & Stores in Japan on August 25th (Saturday) to a great amount of fanfare. This release had a bunch of firsts for the Pokemon Time promo. First, there were both regular sized plush and mascot plush (pictured here). The regular sized plush (Cosmog, Rowlet, and Mimikyu) come with matching boxes for packaging and display. The figure straps which up until this point have been a Pokemon Time staple were removed and replaced with gacha figures and blind packaged rubber charms. 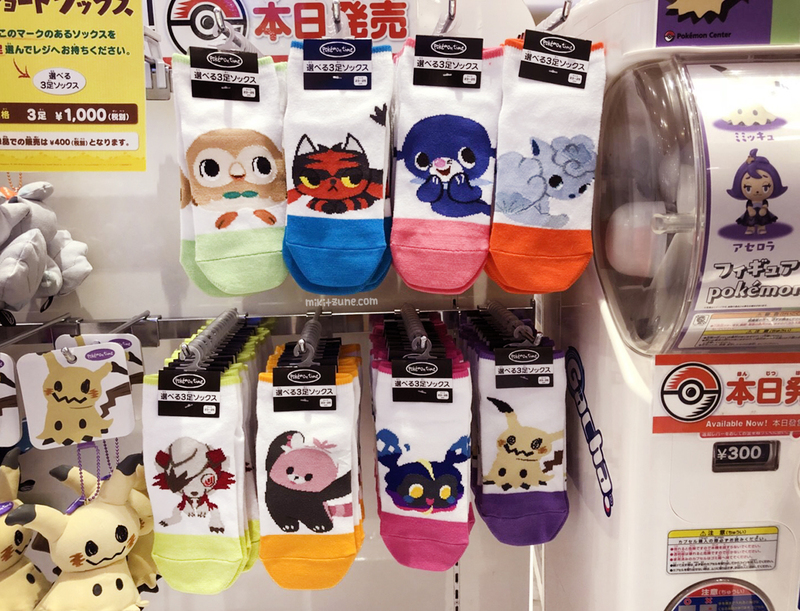 Another addition was the popular 3 pairs for $10 Pokemon Center socks, featuring Rowlet, Popplio, Litten, Alolan Vulpix, Midnight Lycanroc, Bewear, Cosmog, and Mimikyu. 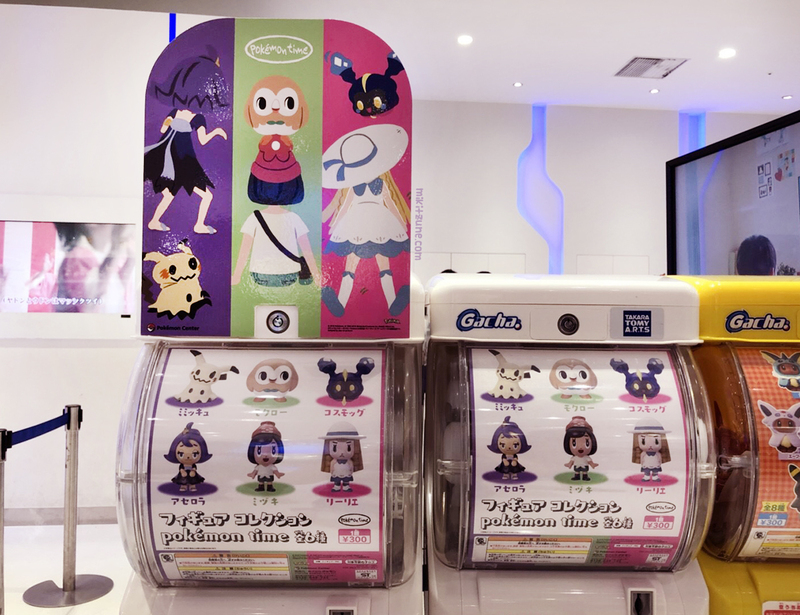 On top of that, the Pokemon Center introduced people merchandise into the line-up, with Acerola, Moon, and Lillie featured on some of the main merchandise alongside their Pokemon companions, plus figure versions of all three as gacha prizes and three plush that are currently available for pre-order with a release date in January 2019. Another first: this year’s release had a side mini promotion with a traditional skajan theme. 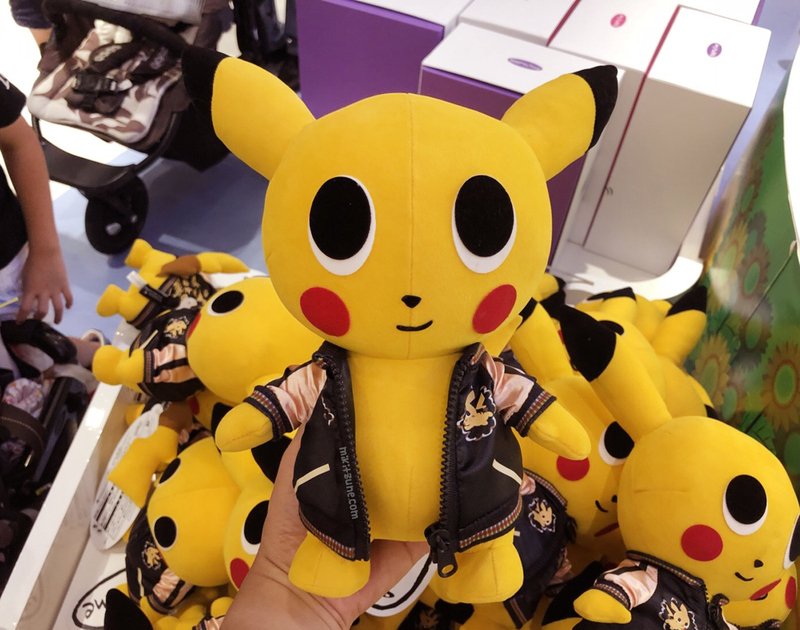 This side release had it’s own Pikachu plush wearing a Pikachu sized version of one of the four skajan jackets available in human sizes. Along with the jackets, there were also four matching hats: Raikou, Charizard, Rayquaza, and Pikachu. Takara Tomy released a small set of sleeping plush, which included Eevee, Popplio, Litten, and Rowlet. They’re soft and cute!